Apr 24, 2018 Posted by AAfterwit on Apr 24, 2018 | Comments Off on Bob Gabordi Knows The Answer, He Just Wants To Ignore Them. UPDATED! Bob Gabordi Knows The Answer, He Just Wants To Ignore Them. UPDATED! 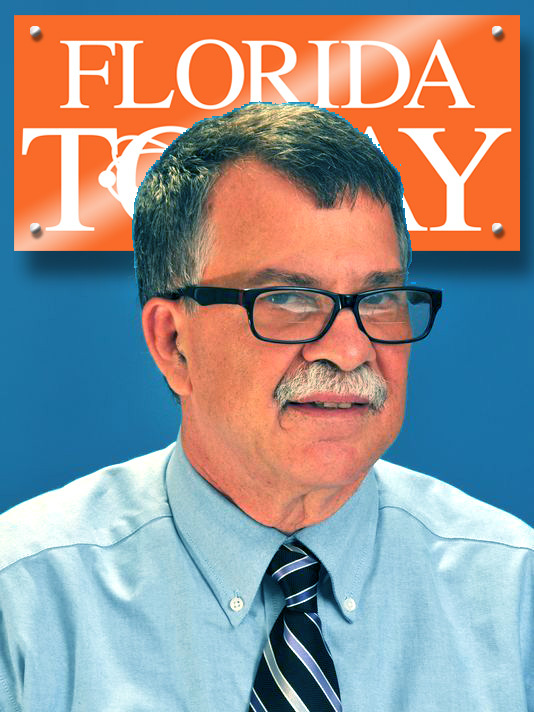 Florida Today Executive Editor Bob Gabordi has what can be described as an “interesting” opinion piece on the Florida Today site. By “interesting,” we mean one that is just really strange and lacking in so many things. James Shaw Jr. is the guy who never gets mentioned in the gun debate. He’s the “good guy” without a gun. Early Sunday morning, Shaw, 29, rushed a bad guy with a gun who had opened fire at a Waffle House near Nashville, Tennessee. The gunman killed four people and Shaw felt trapped, thinking he might be next. Local police say Shaw decided not to be a victim and rushed the shooter, disarmed him and threw the assault rifle he was carrying over the Waffle House counter. He took his chance when he saw the gunman look down at his rifle, as if he had to reload. Thank God. Why do we think heroes always have to have a gun? Why do we not talk more about people like Shaw? Yes, there are a lot of people who choose not to have a weapon. Yet as Garboldi states, James Shaw, Jr. was in a no-win situation. “Not wanting to be a victim,” the police and Garbordi say. What is missing is that the patrons in the restaurant were going to be victims because no one in Waffle House was carrying a weapon. You see, it is against Waffle House policy to allow weapons into their restaurant. They do make exceptions for law enforcement, but have known to refuse service to a National Guard Soldier wearing a side arm. So let’s be clear about this: the shooter walked into a restaurant as a wolf amongst the sheep. Shaw was placed in the position of being a victim because of the choices others made for him and other patrons – choices that included banning weapons on the premises. We’ll never know what would have happened if other patrons would have been armed that day. It is easy to speculate. Perhaps the shooter would not have come into that restaurant knowing that others would actively defend themselves. Perhaps instead of four dead, there would be none dead. Perhaps instead of the shooter escaping, the shooter would have been wounded or killed. Think about that for a moment. The Executive Editor of Brevard County’s largest newspaper and media outlet wonders why people don’t talk about “the good guy without a gun.” Could Garbordi be less self aware? Garbordi is in charge of a newspaper – a newspaper that can, and often drives the conversation on topics. If people aren’t talking about “the good guy without a gun,” Garbordi could easily correct that. Yet there is another side to the “let’s talk” issue. Last week in Glen St. Mary Florida, three men defended themselves in their home against five men seeking to do them harm. The defenders used a civilian AR-15 to ward off their attackers. There is no mention of the incident on the Florida Today site. None. In fact, seldom does the Florida Today ever take notice of those people who would be included in the Center for Disease Control (CDC) survey that found that 2.2 million times a year citizens use weapons as a defense against crimes. Garboldi doesn’t seem to want to talk about the idea that the Waffle House shooter obtained his weapons illegally, that the police took the weapons away from him and then gave them to the father. Instead of taking the guns from the shooter away as required by, the police just gave them to another family member. We wonder why Garboldi doesn’t want to know about the continued failures of the laws that are on the books and those who we as citizens pay to enforce them. Yes, James Shaw Jr. decided that he was not going to be a victim and took a chance in fighting back. He should be applauded. But those who carry or have weapons who make the same choice not to be a victim and protect their lives and property with a weapon should also be acknowledged and not swept under some ideological rug. But Garbordi wants to know why people – especially people in Brevard County – carry weapons. I already know it is a person’s right to carry a gun, so there’s no reason to email me that it’s your right or tell me you carry just because you want to. I’m the last person to suggest that shouldn’t be the case. That seems somewhat odd to us. Garboldi says he knows it is a right, but then wants to know why people choose to exercise that right. We didn’t know we had to justify the choice to exercise a right to anyone – including Bob Garboldi. It seems very strange to us and once again a lack of self awareness that Garboldi is essentially saying “I know you have the right, but justify your exercise of that right.” Of course, as a “journalist,” Garboldi would never seek to justify the right of a free press or the right of free speech. He would just tell you that he has that right and we support his choice to exercise his rights. I support the Second Amendment, but think it is jibber-jabber to suggest it is what protects our other freedoms. If it comes to that, I’ll take my chances with the might of the U.S. military. Having a gun in your home for security is one thing, but it seems to me getting a license to carry away from home says something else. This can easily be debunked: where was the military at the Tennessee Waffle House? Or doesn’t Garboldi think that freedom includes the right to live? Apparently Garboldi believes that crimes and attacks on lawful citizens occur only in people’s homes, and not out on the streets, in restaurants, in theaters, etc. Apparently Garboldi believes that one should protect their rights and freedoms only in their homes, (which of course means that Mr Shaw should have done nothing as he was protecting his rights and freedoms outside of his home. The oddity here is that Waffle House does not make an exception to their “no weapon” policy to members of the military. While some deranged and police enabled shooter was killing people in a Waffle House, does Garboldi really think the military is going to come to the rescue? Frankly, we think Garboldi is being disingenuous here. He has the answers to his questions but he just doesn’t like those answers. While he wants to have the rights and freedoms of which he approves, he wants others to justify their choices, their rights, and their freedoms. Garboldi laments a lack of people talking about these issues but yet fails to accept answers or views that differ from his. If only he knew of a place or could create a place where such an honest discussion on guns could take occur. A man in his 20s is dead after a carjacking attempt at a New Texas Fried Chicken east of the Mall at Millenia in Orlando turned fatal early Sunday, an Orange County Sheriff’s Office spokeswoman said. Leon Anthony Ducally, 49, told deputies he shot Jan Demetri Goodman, 26, who was assaulting and carjacking him as he walked into the business at 2200 Americana Boulevard, spokeswoman Jane Watrel said. Watrel said Ducally has a valid concealed-carry permit. Deputies said they arrived at 12:01 a.m. to find Goodman on the ground, unresponsive and suffering from a gunshot wound. After CPR failed to resuscitate him, Goodman was transported to Orlando Regional Medical Center where he was pronounced dead a short time later, Watrel said. This means that while Garboldi was writing his screed, someone was actually facing a situation outside of their home where it appears that a weapon is what saved them and their property. It is hard for us to understand how Garbaoldi missed this or other incidents like this. After all, it was in the newspaper – just not the one that Garboldi runs.